Set in a Grey Lynn fish'n'chip shop, this clip delivers a killer kai moana concept, when it's revealed that the greasy takeaway is merely a front for the club downstairs. Winner of Best Music Video at the 2006 Vodafone NZ Music Awards, the video features a host of cameos in addition to the members of Fat Freddy's Drop: including Danielle Cormack, Ladi6, John Campbell and Carol Hirschfeld. It was directed by Mark 'Slave' Williams, sometime MC for the band. The track was part of Fat Freddy's first studio album Based on a True Story, one of the biggest-selling in Kiwi history. 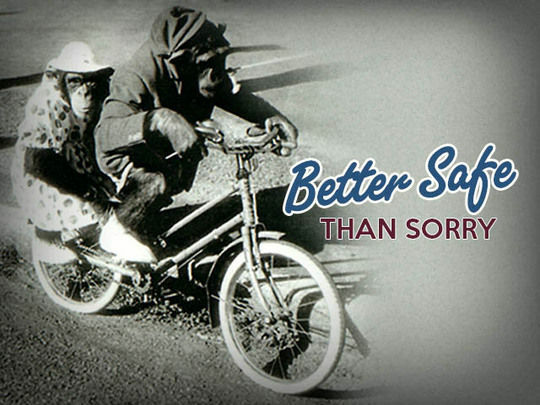 This show was possibly the most controversial edition of the Heartland series. Gary visits the sometimes maligned working class dormitory suburb, and hits sports fields, local homes and Tupperware parties. In this full-length episode he meets everyone from cheerful league coaches and builders remembering the challenges of getting supplies up the hill, to the woman many would not forget: Chloe Reeves, with her squeaking voice, distinctive fashion sense and tiger slippers. 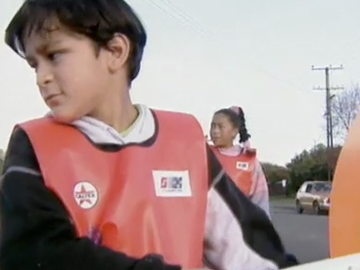 There is also a fleeting glimpse of future All Black Piri Weepu holding a school road safety lollipop. On 27 July 1965, Auckland fish’n’chip shop owners Sam and Shirley Ann Lawson became parents of a boy — Samuel — and four girls — Deborah, Lisa, Shirlene and Selina. The birth made world headlines as the first set of quintuplets conceived using hormone treatment. But out of the public eye it wasn't happy families: Sam and Ann split up when the quins were six and in 1982 their mother was murdered by her abusive second husband. Director Mark Everton’s award-winning doco regathers the quins, who discuss the ‘quin bond’, tragedy, resilience and their tumultuous lives. 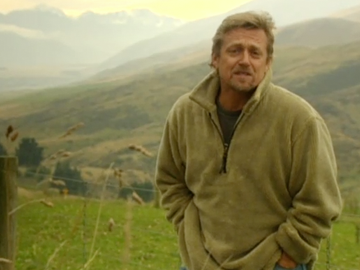 Actor Michael Hurst began life in northern England, then moved to Christchurch at age eight. In this Here to Stay episode he looks at the pervasive elements of Kiwi culture that derive from mother England — from roasts, rugby, tea and the Mini, to a language and legal system. In this excerpt Hurst fries up fish'n'chips with Ray McVinnie, stalks deer with Davey Hughes, and explores how class ideals travelled south to Mt Peel and Christ's College .... A chorus of Kiwis, including ex-All Blacks' captain David Kirk and historian Jock Phillips, ponder the influence. In this award-winning Montana Sunday Theatre drama, Cliff Curtis plays Jim, a grungy rocker who can’t (and doesn’t want to) commit to a straight life with his misguidedly hopeful girlfriend Sina (Sarah Smuts-Kennedy). A night of emotional turmoil in the city ensues as Sina does her best to avoid the reality of her situation (as well as home invasion and Jim’s dodgy manager). Fiona Samuel's darkly funny script and top-notch casting underpin this look at the not-so-delicate nature of relationships amongst a group of Generation X Aucklanders. Documentary series Revolution mapped the social and economic changes in New Zealand society in the 1980s and early 1990s. This first episode focuses on NZ's radical transformation from a heavily regulated welfare state to a petri dish for free market ideology. 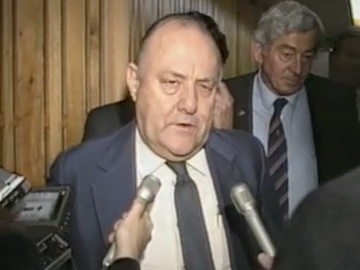 It includes interviews with key political and business figures of the day, who reveal how the dire economic situation by the end of Robert Muldoon's reign made it relatively easy for Roger Douglas to implement extreme reform. Revolution won Best Factual Series at the 1997 Film and TV Awards. Written by Helena Brooks and comedian Jaquie Brown, Nothing Special could be seen as a cautionary tale: it's good to love your son, but not so good to think he's Jesus reincarnate. How can Billy escape the crazed adoration of his doting Mum? By striving to be the most boring man he can be. Featuring an aptly quirky soundtrack (Blerta's 'Dance All Around The World') and a very funny performance by Alison Routledge as the quintessential overzealous Mum, Nothing Special was chosen for competition in the short film section at Cannes (2005). Police drama Mortimer's Patch included a Māori sergeant (played by Don Selwyn) among its quartet of rural coppers, yet the series only rarely explored Māori topics. Penned by Greg McGee, this episode plots a small-town twist on questions of racism, abuse of privilege, and the horse-trading behind which cases go to court. After a theft at the local takeaways, one of a trio of young Māori reacts to the racist perpetrator — a Pākehā businessman — by breaking the law himself. 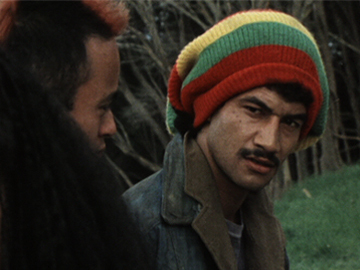 The guest cast includes Frank Whitten (Outrageous Fortune), Selwyn Muru and Temuera Morrison, whose only line is "Honky. Smooth honky. Nasty". In the 1970s Yorkshire emigre Craig Harrison turned the odd couple tale of a Māori and a Yorkshireman into a novel, a radio play, and this popular sitcom. 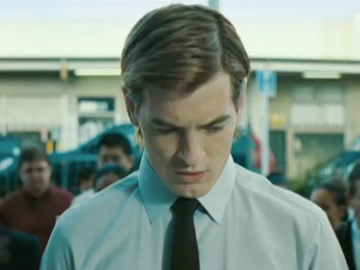 Joe (Stephen Gledhill) is the nervy, university-educated librarian; his flatmate is city-raised Koro (Rawiri Paratene, in one of his earliest lead roles) who works in a fish and chip shop. In this episode, Koro’s dodgy homemade wine helps inspire embarrassing scenes at a party of Joe’s friends. Among drunkard Pākehā, watch out for a paralytic Kevin J Wilson, and a rare pre-Pork Pie appearance by Claire Oberman.